After the disappointment of last year in terms of wheat pasture, the conditions headed into this winter look much more promising. 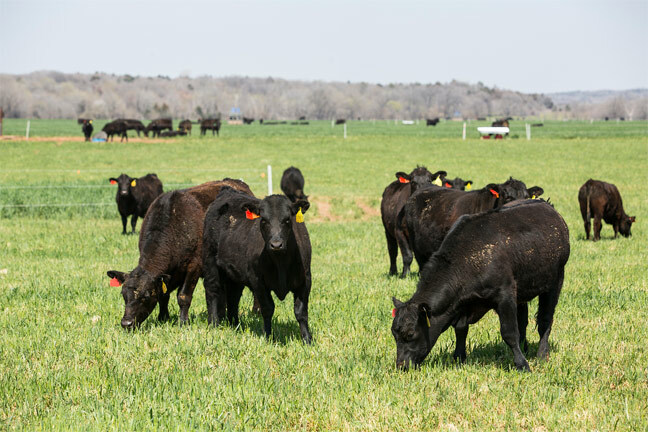 According to Oklahoma State University Extension Livestock Market Economist Dr. Derrell Peel, the prospect of ample wheat pasture for winter grazing has prompted many producers across the Southern Plains to buy up the large supply of stocker cattle currently being ran through auction barns. This week, he spoke with Radio Oklahoma Ag Network Farm Director Ron Hays about the present stocker situation. From what he can tell, it looks as though the numbers are peaking out right about now. Based on what we are seeing in the marketplace, it would seem that producers have been struck with a case of “Green Fever” hoping to take advantage of those early planted wheat pastures that will soon be ready for grazing as they finish drying up from the recent moisture. The amount of pasture available this year has increased the demand for cattle and many producers have been inclined to purchase more head of cattle than they may have initially intended to this season. According to Peel, the economics of grazing cattle has held up fairly well with steady prices floating demand well into November. Listen to Peel and Hays discuss the current stocker market situation and the potential for grazing cattle this winter, on today’s Beef Buzz. Hear Peel and Hays discuss the current stocker market situation and the potential for winter grazing.